Get tips for a healthier, happier you delivered straight to your inbox! Join Simon & Schuster’s mailing list to receive a FREE eBook. Free eBook available to NEW subscribers only. Offer redeemable at Glose.com. Expires in three months, unless otherwise indicated. See full terms and conditions. Before we embark on how we can forgive, we have to answer for ourselves: Why should I forgive? One might say it is the natural order of things to find forgiveness, if and when possible, as it’s a necessary part of life, an essential part of fully experiencing the abundance of creation. I am certain that this desire to forgive and to live with an open heart has had a physical impact on me, even on a cellular level: Dropping that heavy “illusion-of-separateness armor” allowed me to finally breathe as a whole being and begin the healing process. It also had a powerfully positive psychological, emotional, and spiritual impact, contributing to the ever- increasing quality of my life and even to the length of my time on this earth. Forgiveness for others and myself allowed me to open myself up to and grow loving relationships with my partner, my children, my extended family, and my dear friends. It supported me in letting go of my mistakes and my weaknesses, to move forward in good health and self-care, toward what I wanted most for others and myself. 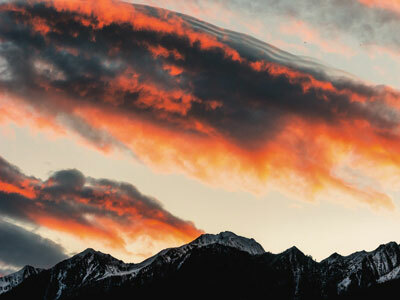 As you learn forgiveness, you learn compassion and empathy, creating the possibility to live as a whole human being, experiencing the joys of being alive and the joys of being in connection to people, earth, and spirit. Learning forgiveness allows you to free up energy and the space in your mind and heart; it allows you to seek compassionate justice in fostering a world of caring, equity, and inclusion, not as a result of wild and wounded revenge but, ultimately, out of peace. In my life, forgiveness gave me the clarity of mind to be present and to focus on what was really happening. I was able to discern when specific actions were appropriate, how and where to obtain harmony and equity, and how to recognize allies and real collaboration. Ultimately, by finding peace for myself, I was able to create and extend peace for those to whom I was connected. It gave me the opportunity to translate the indigenous Lakota principle of “all my relations” into how I could make sense of the deep hurts that needed healing in my world, including the very intimate tragedies that had such devastating consequences for my family and for me. So, why should you forgive? Because it gives you true freedom to help create positive change, be in love, and stay in love with others and with yourself. You learn to act from a place of empathy, rather than one filled with anger, hate, resentment, revenge, and distrust. In forgiveness, the Elders remind us, we are all one—our spirit is tied to the spirit of the other; it is fundamental to our capacity to be healthy and whole human beings. Discover more about forgiveness in THE FOUR SACRED GIFTS by Anita L. Sanchez. Excerpted from THE FOUR SACRED GIFTS by Anita L. Sanchez. Copyright © 2018 by the author. Used by permission of the publisher. All rights reserved. Photo by Eberhard Grossgasteiger on Unsplash. 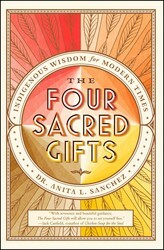 In The Four Sacred Gifts, visionary international business consultant Anita Sanchez, PhD, reveals the timely prophecy entrusted to her by a global collective of indigenous elders—four guiding gifts that “will allow you to set yourself free to live your most successful life…learn how to forgive, to heal, to unite with all life, and to revitalize hope” (Jack Canfield, co-author of Chicken Soup for the Soul).As we ride the powerful waves of change occurring in our economic, social, political, and physical environment, indigenous wisdom is needed—now more than ever—to guide us to inhabit the fullest and healthiest lives possible. The Four Sacred Gifts opens your mind and heart to an indigenous worldview that will ultimately free you from fear and empower you to find peace even in the conflicts of our tumultuous world. Based on a prophecy that is now coming true, this book reveals how our world depends on each of us discovering a interconnectedness to people, earth, and animals, in the awareness that we are “all one relation.” Within these pages, you will find deep wisdom of elders from all continents as they come together to give you four sacred gifts: the power to forgive the unforgivable, the power of unity, the power of healing, and the power of hope. These gifts will guide you to transformation, and support your journey to wholeness. By following the powerful principles, lessons, and tools found in this book, you will experience personal breakthroughs, become a force for conscious, societal evolution, and learn to live in deeper harmony with all of humanity. © 2019 Simon & Schuster Inc., a CBS Company. All rights reserved.